Pregnancy is such a special time in a woman’s life. If you’re looking for a unique way to document each stage of your pregnancy, Diego Molina Photography will help you capture every moment. This portrait studio in West New York, NJ, provides maternity photography services throughout northern New Jersey and New York City. From maternity pictures to infant portrait packages, Diego Molina Photography will record every special moment in beautiful, high-quality photos. Show Off Your Bump: Bump pictures illustrate the beauty of pregnancy. Incorporate your family by taking a close-up photo of their hands on your belly or hold a sonogram of your new baby over your bump. Capture Mom’s Glow: Expecting moms should always have their own photo during this special time. A self-portrait is essential for capturing the glow of pregnancy. Celebrate Family Relationships: Pregnancy is an exciting time for the entire family. As you prepare for the arrival of your new baby, you should also celebrate the loving relationships you currently have. Express your love for your husband in a few couples photos, and take a few pictures with all of your children together. Have Fun With Props: Adding a few props to your maternity pictures is always a fun idea. This gives you the perfect opportunity to reveal your baby’s gender with new baby clothes toys. Balance a pair of tiny shoes on your bump, or use letter blocks to spell out your baby’s name. 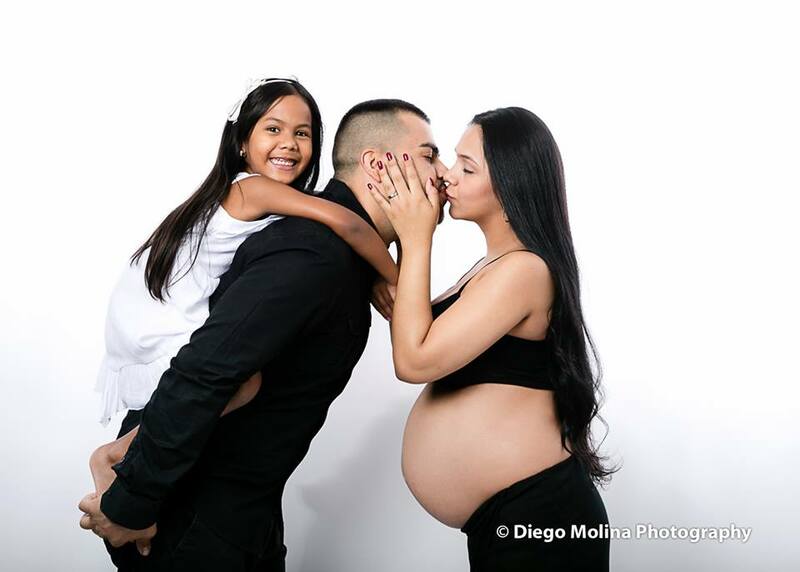 Diego Molina Photography provides uniquely beautiful maternity pictures for expecting mothers. They can also continue to capture all of the precious moments in your family’s life with newborn pictures and family portraits. To schedule a photography session, call this New York photographer at (201) 838-1687, or visit the website to see samples of their work.